When the elbow is dislocated you may have severe pain, swelling, and lack of ability to bend your arm. Sometimes, you cannot feel your hand, or may have no pulse in your wrist because arteries and nerves which run along your elbow may be injured. To diagnose elbow dislocation, your doctor will examine your arm. Your doctor will check the pulses at the wrist and will evaluate the circulation to the arm. An X-ray is necessary to determine if there is a break in the bone. An arteriogram, an X-ray of your artery, can be helpful to know if the artery is injured. 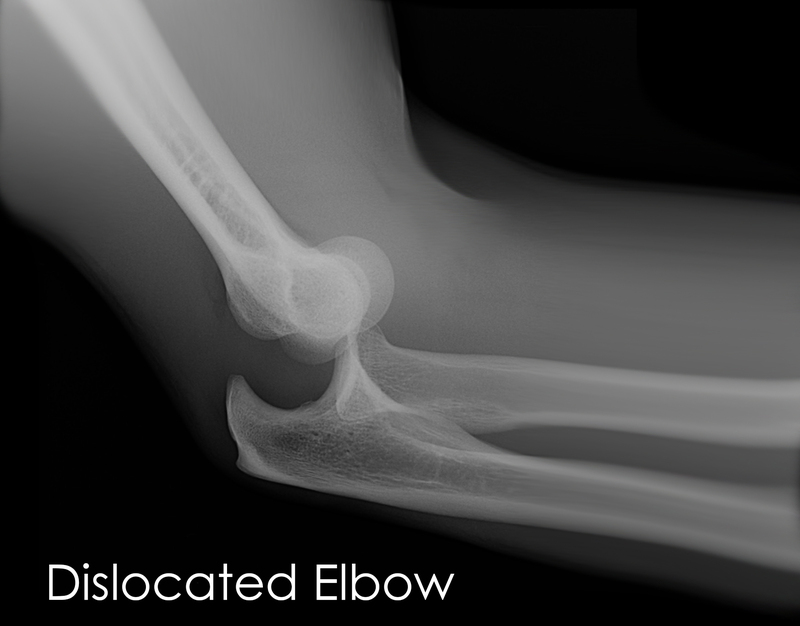 An elbow dislocation is a serious injury and therefore requires immediate medical attention. At home, you may apply an ice pack to the elbow to ease pain and swelling. However, it is important to see your doctor for help. You can also check if the arteries and nerves are injured or remain intact. You can feel your pulse by pressing tips of your fingers at the base of your wrist. They should turn white or blanch and a pink color should come back in 3 seconds. To check for nerves, first bend your wrist up and move your fingers apart and then touch your thumb to your little finger. You can also check for numbness all over your hand and arm. If you have a problem with any of these tests you need to see your doctor right away. You doctor will put your dislocated elbow back in place by pulling down your wrist and levering your elbow. This procedure is known as reduction. As it is a painful procedure you may be given medications to relieve your pain before the procedure. After the reduction, you may have to wear a splint to immobilize your arm at the elbow. After a few days, you may also need to do gentle motion exercises to improve the range of motion and strength. Elbow dislocations may be prevented if you avoid falling on an outstretched arm or avoid situations that may cause falls such as walking at night or walking on slippery floors.